As its operations have expanded to new geographies, the Kalpataru Group and JMC Projects both have retained a collective focus on the various areas of sustainability that impact people, environment and the society at large. As a policy, JMC promotes inclusive development initiatives and giving active support to both national and local initiatives and thereby endavour to be a responsible corporate citizen in construction industry. Our leaders believe that sustainable development ensures a better quality of life now, as well as for future generations. Nature of our operations, being closest to the earth, gives us this opportunity to stay connected with the needs of our Mother Earth, such new methods of better management of land and water resources and other social resources etc. We constantly undertake various activities at our work places to fulfill these social objectives through our committed employees who even go beyond the call of duty. While we work, we promote safe work practices which can protect environment and communities around. Our nature of operations, demand us to be sensitive and thereby, be responsible towards our Mother Earth, Health and Safety of all people and communities associated with our operations. 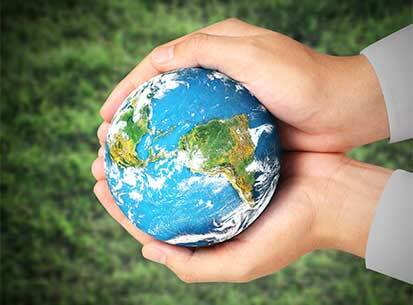 We combine commercial success with environmental protection, risk reduction and societal responsibility. This generates value for our stakeholders and for future generations. A strong willed drive to continuously improve EHS performance at all work places, keep incident indices substantially below industry indices, ensuring a positive effect on the ecosphere around us. Our well constituted EHS policy and rules guide each one of us to continuously deliver superior EHS performance. 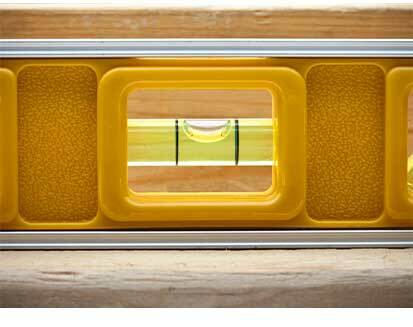 Our Leadership considers even a minor incident or a near miss instance as a scope for improvement. Each one of workforce is provided with and encouraged to use necessary PPE (Personal Protective Equipment) and undergo EHS training. Prevention is an essential driving force in all our environment, health and safety activities. Each of our work place adheres to all requirements for most types of emergency preparedness and responses. 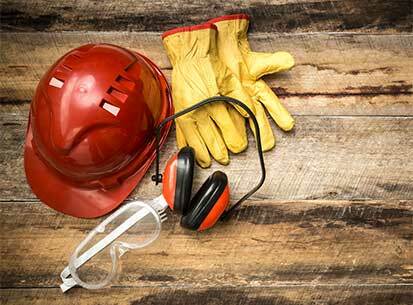 Substantial focus always remains on occupational hygiene and health. Furthermore, to enhance health consciousness of our employees, JMC undertakes health promotion campaigns across all our work places. JMC™s Leadership has always been sensitive towards building a strong Quality culture across company through modern TQM approach. It realized the importance of quality of our operations right from our incorporation and since then, it has been our continuous pursuit to undergo a robust quality assurance program. We can proudly say that we are among the first few companies to get accredited with ISO 9001 certificate in the country. 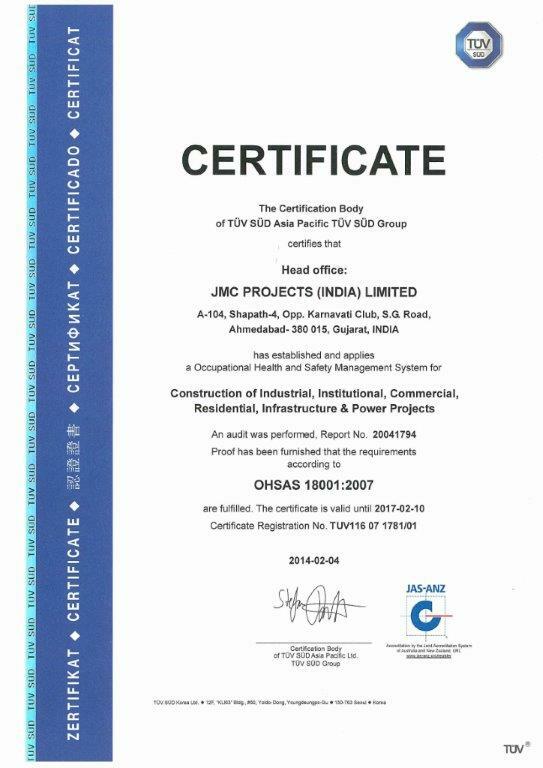 JMC™s Quality Management System (QMS), not only complies with the stipulations of ISO 9001: 2008, but also, attempts to go towards achieving business excellence. 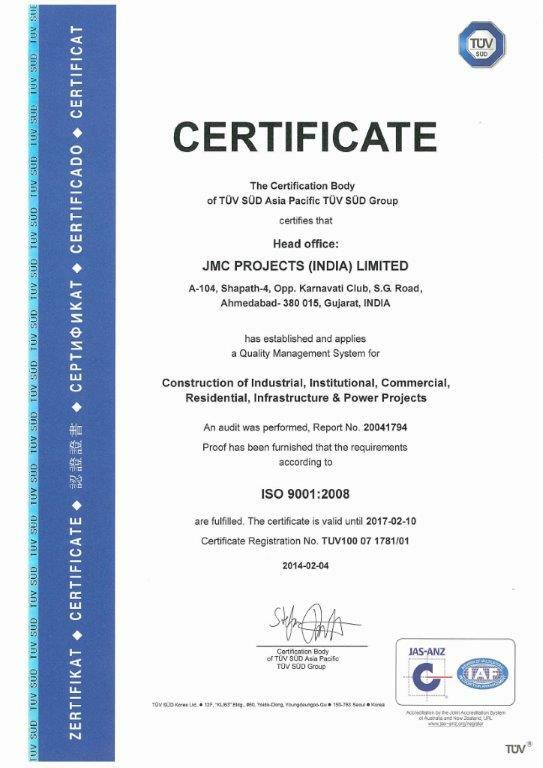 JMC intends to achieve our Quality Objectives though our commitment to process excellence. Information Technology (IT), plays a role of enabler in exercising proactive controls over our processes. We have developed and implemented our home-grown ERP suite, iPMS (Integrated Project Management System), which is customized to our business needs and thus, yields efficiency. 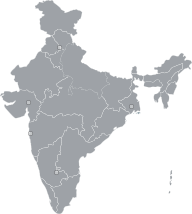 We are among the first few companies in India to deploy such ERP across all locations. We believe that Commitment to Quality is a responsibility of all of us. Thus, a strong and committed team of project execution engineers and quality assurance engineers work hand in hand to exceed our customers™ expectations. This reflects in log list of JMC™s satisfied clientele, including large corporations, MNCs, National giants and PSUs etc. 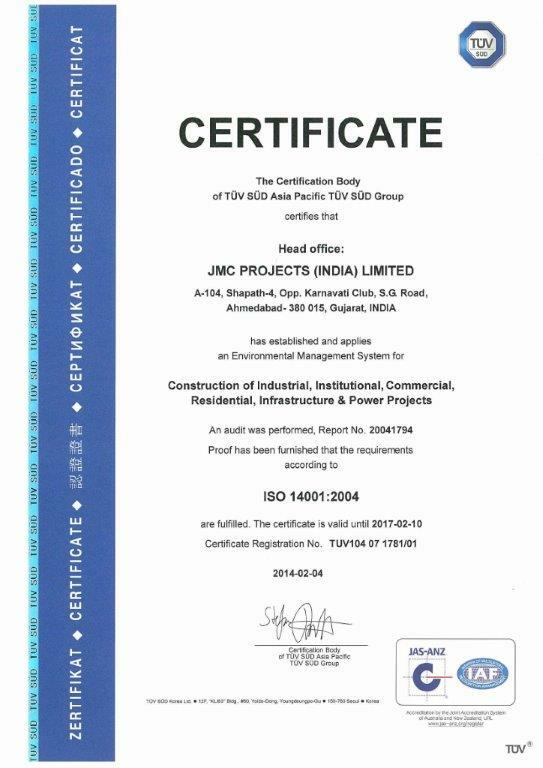 JMC has also bagged several awards and citations for delivering best quality constructions, from time to time.